AuSPEN is the oldest parenteral nutrition society in the world. The Australasian Society for Parenteral Nutrition (AuSPN) was founded in 1973 in Melbourne. It was initially set up by surgeons, intensivists, physicians, chemical pathologists, microbiologists and pharmacists. 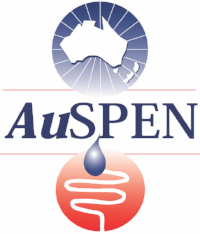 In 1980, AuSPN expanded its society name to include enteral nutrition and became The Australasian Society of Parenteral and Enteral Nutrition (AuSPEN). AuSPEN also broadened the scope of its membership to include New Zealand. At this time, the main focus of the Society was the nutrition care of inpatients, however as outpatient needs have grown, the focus of the Society has shifted to encompass both acute and outpatient care. Today’s purpose of AuSPEN remains to be the leading professional society for a multidisciplinary approach to clinical nutrition, promoting high standards in the practice of parenteral and enteral nutrition for both inpatients and outpatients and its annual conference has grown over the past two years to provide delegates with the most up-to-date information in the Parenteral and Enteral Nutrition areas.